Lady Gaga Joins Tudor “Born to Dare” campaign as brand ambassador. You may have heard the news that singer, style icon and daring performer Lady Gaga has joined the Tudor watch brand family as a brand ambassador. The news was announced yesterday and had some watch publications fawning all over. We, on the other hand, just didn’t jump for joy at the news for a host of reasons. Earlier this year, the singer awed and inspired many in her half-time performance at the Super Bowl — which followed a 60-second Tiffany & Co. commercial that aired, in which Lady Gaga wore and introduced the HardWear jewelry line for Tiffany & Co. With the news of that announcement, some publications also scoffed — not seeing the alignment. How could you not see the alignment of a style icon with a net worth in the millions and a legendary brand like Tiffany? We applauded that affiliation, though we are not sure it really led to Tiffany & Co. HardWear Jewelry sales. That was a one-time affiliation for the commercial. It did the trick: got millions of people’s attention just before her half-time performance –raising the recognition of the the Tiffany & Co. name. Now, as Lady Gaga joins the Tudor campaign “Born to Dare” campaign, we take a closer look at the brand’s positioning. 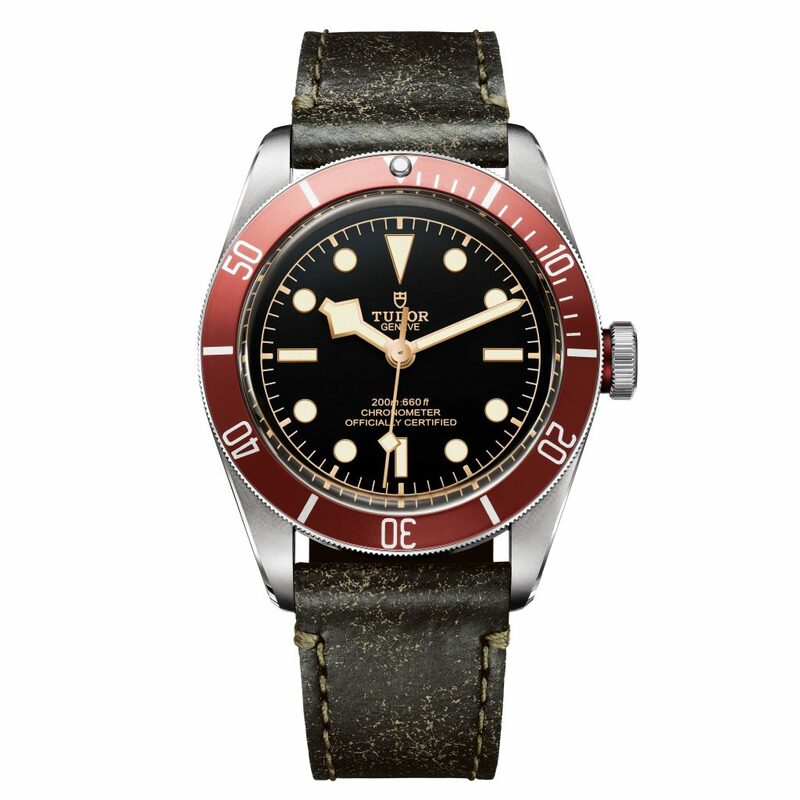 In the Tudor “Born to Dare” campaign, Lady Gaga dons the Tudor Black Bay Red watch on leather strap. This line celebrates its 60th anniversary this year. Lady Gaga seems a natural choice thanks to her daring and provocative style off and on the stage. Her astounding pop-culture songs and theatrics, along with her inviting attitude, has endeared her to millions. Additionally, what few people may know is that she spearheads a foundation committed to empowering youth. Are these the right traits to bring Tudor’s “Born to Dare” spirit to the forefront? Absolutely, the well-respected entertainer can reach a great new audience for Tudor that is both younger and more high spirited. While the affiliation with this provocative singer is guaranteed to attract men (smart move for Tudor), it will also attract a segment of the population Tudor has been heretofore not as strong at attaining: women. With six Grammy awards, a Golden Globe, more than 30 million albums sold, and a host of MTV awards, Lady Gaga is a magnet for men and women of many ages who aspire to achieving their own success with hard work and lots of talent. By bringing Lady Gaga into its fold, Tudor not only attracts new audiences, but also is underscoring its own commitment to high standards, to going above and beyond the boundaries when it comes to technology, style, function and individual statement-making. When the brand recreates its watches, it turns to the originals for inspiration, and then kicks it up a few notches to turn on the heat. Well, it looks like this affiliation is also geared to turning on the heat with more than just watches. For Lady Gaga, we are certain the affiliation will witness her donning the iconic Tudor Black Bay watch … maybe she will get the brand to add some bling. It will be interesting to see where this affiliation takes the brand.